Thanks for stopping by the Starcat’s Corner Shop! Take a look around and check out some of the wares and services. Let me know if you have any questions. Happy shopping! In her third book, the second of the Inspired Living Series, Nikki Starcat Shields offers a clear, simple method for designing a practice that fits into your lifestyle. Spirituality isn’t “one size fits all.” In order for it to become an essential part of your life, your daily practice needs to be tailored to your unique desires and circumstances. 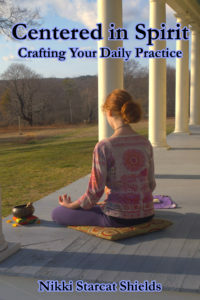 Starcat shows you how to create a spiritual practice that supports and delights you each day. In order for it to become an essential part of your life, your daily practice needs to be tailored to your unique desires and circumstances. Order your copy from Amazon today! Want to live a more joyful, fulfilling life? One of the best things you can do is to learn to love yourself. Most of us have been taught to treat ourselves with disdain and criticism. Yet within you is a wellspring of love that, when you discover how to tap into it, will increase your compassion, creativity, and joy. This book will lead you on a gentle journey to greater self-love and confidence. Available in paperback and e-book. Get your copy from Amazon or Smashwords. Published by our own Tidingdale Press. 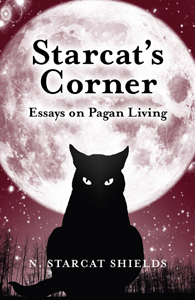 In Starcat’s first book, Starcat’s Corner: Essays on Pagan Living, she offers insights to enhance your personal spirituality, foster loving relationships, and live in harmony with the natural world. Click here to purchase a copy today! Published by Moon Books. 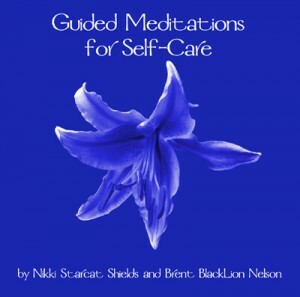 These guided meditations are a wonderful tool to help you relax and explore your inner world. Go deeper within yourself and experience your personal divine connection. You’ll bring back wisdom and energy that will help enrich your life every day. 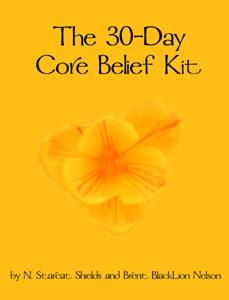 The 30-Day Core Belief Kit is a powerful tool for helping you discover and transform your personal set of core beliefs, the assumptions that underlie your daily choices. Each day includes a brief reading, an audio guided meditation tailored to that day’s topic, and exercises designed to help you delve deeply into your beliefs. You’ll be guided through the process of transforming your beliefs so you can begin to live the life of your dreams! Looking for personalized guidance and accountability? 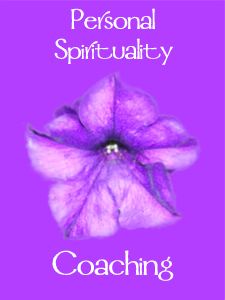 Work with us directly and receive personalized coaching, guided meditations, energy work, and more. Apply for a complimentary Discovery Call today to see how we can help!